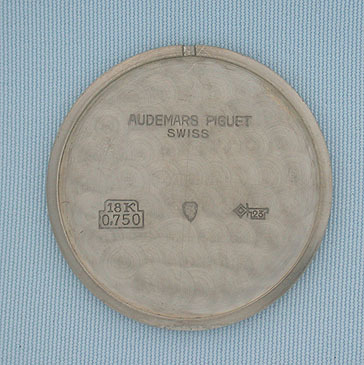 Fine Swiss Audemars Piguet 18K white gold ultra flat vintage wrist watch circa 1966. 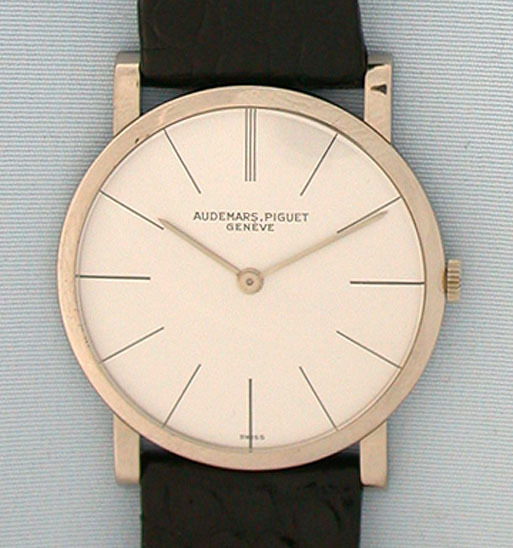 Silver dial with black markers and white gold hands. 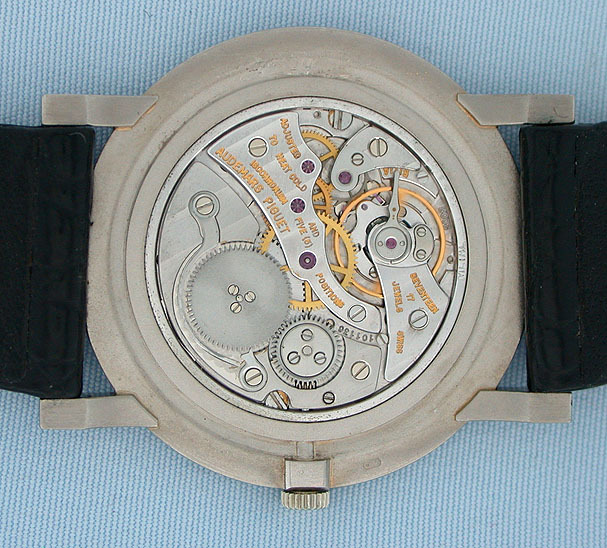 Nickel 17 jewel 8 adjustment calibre 1003 movement. 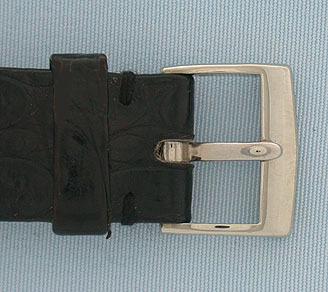 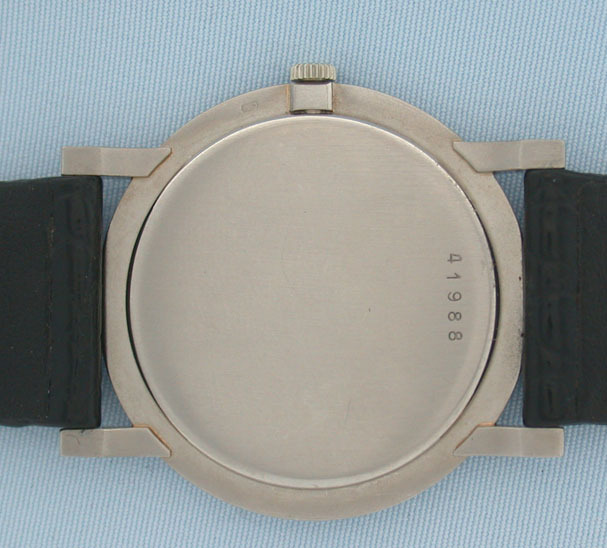 With original white gold buckle.